North Counties’ Family Services is dedicated to serving parents, children, individuals, and communities so they achieve their highest potential. We accomplish this through support in education, outreach, and healthy-option activities and events that build upon individual, family and community strengths. 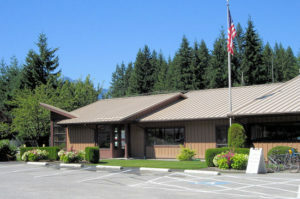 The Cascade Senior Center is about sharing in fun and fellowship for the senior citizens of the Darrington area. Events and programs are available daily. Contact the Senior Center for scheduling. The Hall at the Cascade Senior Center is also available for rent on evenings and weekends only. Our mission is to facilitate communication, work to increase family wage jobs by providing resources, marketing and education to build a sustainable quality of life for the Darrington Community. 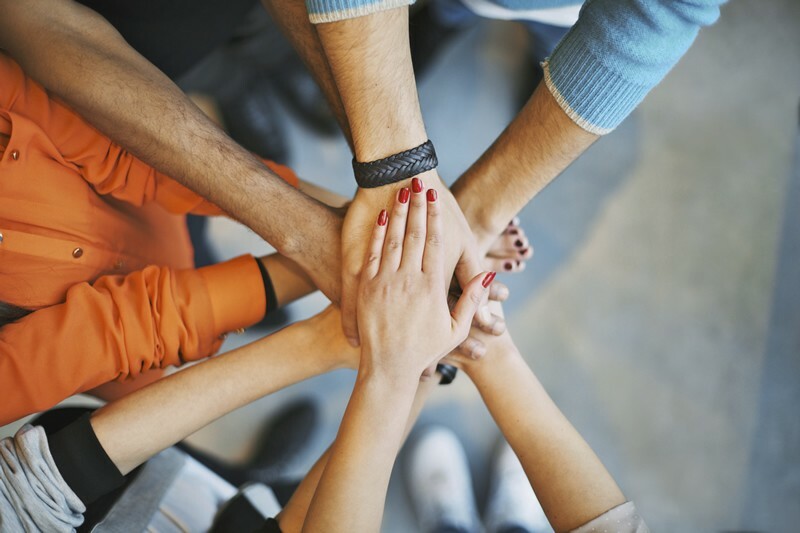 Darrington Strong works together through divisions, community committees and partnerships. We believe each dream for Darrington is important. If you want to see positive changes for you community become part of this change and get involved. We welcome new members & listen to new dreams! The goal of the Sauk-Suiattle Indian Tribe Health and Social Services Department is to provide health care, social services, drug and alcohol prevention, aftercare rehabilitation, and alcohol counseling to children, youth, adults, and elders of our community in a manner that best reflects our cultural beliefs. We aim to create safe and healthy paths to bridge the differences between our Sauk Suiattle culture and the majority culture. We provide a safe environment where our people can re-frame and incorporate the values of the elders, in order to build a solid secure future all the while respecting each individual’s unique identity. We also communicate to other agencies and departments the needs of our community and advocate to protect and defend the unique qualities of our spiritual life. Through the provision of these services, and maintaining a congruency between our culture and the regulating standards, we will move towards self sufficiency, provide the continuity to link our generations, and promote the growth of a strong people. DARA, is a volunteer division of Darrington Strong, Inc. DARA is comprised of community members, representatives of the Sauk-Suiattle Tribe, Hampton Mills, local nonprofits & business owners. We work in partnership with Friends For Public Use a volunteer division of Darrington Strong, Inc. which promotes stewardship of public lands & volunteers with the Forest Service to keep roads open with good drainage and clean. A non-profit historical and cultural preservation organization dedicated to the preservation of the history of the Darrington area If you wish to contribute historical information, donate photographs and other archives to the Darrington Historical Society, you may contact Erika Morris at the PO Box listed above. Friends For Public Use is a group of hardworking dedicated volunteers working to keep access forest roads open in the Darrington Ranger District. We hold work-parties, have road adoptions & patrol our roads keeping them clean and helping avoid potential road damage. We are always welcoming more Friends to come and work with us and be a part of a very special team devoted to their Back country a part of America’s important heritage. The Darrington Horse Owners Association host the Darrington Timberbowl Rodeo at the Rodeo Grounds. Follow the DHOA on Facebook for more information on events and membership. Archery is a sport for all ages. It is a family friendly activity where sons, daughters, husbands and wives all can shoot side by side. The Darrington Archery Range is approximately 262 acres of forested land owned by the Snohomish County Parks Department and the Darrington School District. The range has a large practice flat with over 20 target butts at different yardages marked. Five ranges with 28 targets each that stay in place year round. These ranges are fondly known as the Dylan (handicapped accessible), the Deer, the Bobcat, the Cougar and the Coyote Range. These ranges go from flat to very steep and challenging courses. Ranges or target butts are sponsored by individual archers, archery clubs, businesses and even local townsfolk. To the town of Darrington, the archers that return from around the country and the world to compete here year after year are like an extended family. When they return to Darrington we are happy to welcome them to our town and our homes as we renew old friendships and make new ones as well. Be sure to follow the Darrington Archers on Facebook! The Darrington Bluegrass and Country Music Makers Association hosts one of the largest bluegrass festivals in the Northwest! Visit the Darrington Bluegrass Festival Website for general and lineup information or follow on Facebook for up-to-date notifications. Glacier Peak Institute (GPI) Empowering youth through action based education to build resilient rural communities and ecosystems encompassing the Glacier Peak region. GPI bridges the gap between classroom lessons and real world applications. Our interactive programs combine nature-based curriculum with learner led research and problem solving. We expand community by building relationships between schools, residents, tribes, universities, students, human service organizations, government agencies, businesses and their local ecosystems. By empowering students and community to identify, design and solve today’s problems, we all build interdependent resilience for posterity. Ecosystems spread beyond school district boundaries, opportunities often do not. While rural youth connect with the natural environment, urban youth have access to connect with the STEM industry. Through connecting the positive characteristics of urban and rural environments, we provide cultural and educational exchanges to find diverse solutions and increase opportunities for all. At the Mansford Grange #710 the mission is to build a stronger sense of community in the Darrington area. Community is Job One! The Grange brings many wonderful activities to the community such as Bingo, Game Night, Canning Workshops, Plant and Bake Sales, the Harvest Festival and much more. Visit the Mansford Grange Website or follow on Facebook for more information on upcoming events and activities. All are welcome to join! A community coalition formed to reduce underage substance use in the Darrington community. The Darrington Outdoor Club encourages youth to engage with the natural environment. We promote appreciation of the natural world through activity. The Darrington Outdoor Club encourages youth to engage with the natural environment. We promote appreciation of the natural world through activity. Membership is open to any youth ages 9 and up. While the Darrington area and the Stillaguamish Valley is the focus community, the club is open to any youth with an interest in the outdoors. The Darrington Clinic Guild serves their community by supporting the needs of the Darrington Clinic. Established in 1958 as the Darrington Hospital Guild, they originally raised funds to sustain a much-needed medical facility in their remote town. The original clinic was a Sears mail order building, donated and constructed completely by the townspeople of Darrington. They sold bonds, raised money by holding fundraisers such as bazaars, dances, teas, style shows, luncheons, and other events to raise money for the building and equipment. The hospital eventually transformed into the modern clinic currently in operation today. The current Guild members continue the same tradition of giving by supporting the clinic through building maintenance, equipment purchases and staff education. We’re proud to say several members have been with the organization since it’s inception over 50 years ago. The Darrington Clinic Guild is a 501(3)c organization, and all donations are tax deductible. Provides food to individuals and families in need. The food bank is open on Wednesdays on the 1st and 3rd full week of each month.